This simple frittata is bursting with fresh flavors from smoky, roasted asparagus and creamy, tangy goat cheese. Ideal for entertaining, busy weeknight dinners or a make-ahead breakfast. I can’t believe I’m about to admit this but this was my first time ever making a frittata. WHY ON EARTH DID I WAIT SO LONG?!?!! It could not be easier and it could not be more delicious. I am officially hooked and finally understand why Giada says the word “frittata’ with so much gusto. Not only is this dish extremely fool-proof, but it is protein-packed and full of nutrients. I’m still nursing so I’m a huge fan of egg yolks for all of the vitamins and minerals. And, I’m still working towards my pre-baby weight so I am trying to get more of my calories from protein vs. carbs. Speaking of baby, today I am thrilled to be celebrating a SURPRISE Virtual Baby Shower hosted by Caroline + Erin for our beautiful friend Georgia of The Comfort of Cooking. She is getting ready to have a baby girl any day now and I could not be more thrilled for her!! Motherhood is an amazing journey and I can’t wait to see Georgia embrace it with elegance and beauty. Of course, frittatas are ideal for baby showers, a Mother’s Day brunch or any day time party. Easy to whip up in advance and low maintenance to serve, you can use any ingredients you happen to have on hand. In fact, recently I whipped one up on a Sunday and loved having breakfast ready after a quick 60 seconds in the microwave. As always, this recipe is more of a method than a hard and fast rule book. In lieu of asparagus, you can use zucchini, broccoli or Swiss chard. If you don’t have goat cheese, try feta or peccorino. The options are endless. Congratulations Georgia!! I can’t wait to see your baby girl!! 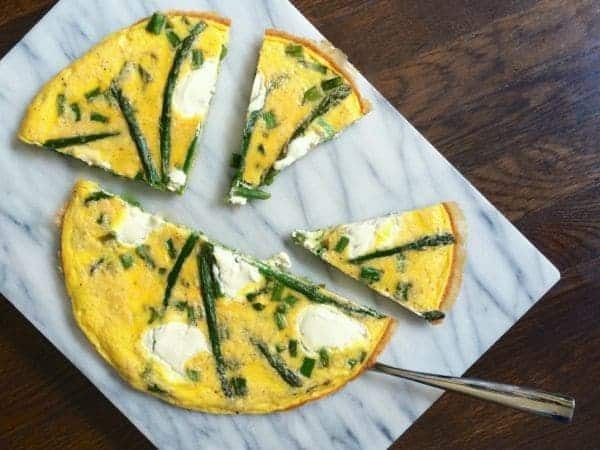 This simple frittata is bursting with fresh flavors from smoky, roasted asparagus and creamy, tangy goat cheese. Toss asparagus with olive oil and a pinch of kosher salt and pepper. Lay in even layer on baking sheet and roast for 10-15 minutes or until slightly charred. Remove asparagus from the oven and set aside to cool slightly. (Leave oven at 400 degrees.) Cut into bite-sized pieces and set aside, leaving a few whole if you wish to "decorate" the frittata before baking. Whisk together eggs, milk, salt and pepper in a medium bowl; set aside. Pre-heat large non-stick, oven-safe pan over medium heat and add chopped asparagus to the pan. Although the asparagus is already cooked, this will allow you to grease the pan a bit with the olive oil from roasting. Sauté the asparagus for 1 minute before pouring the egg mixture into the pan. 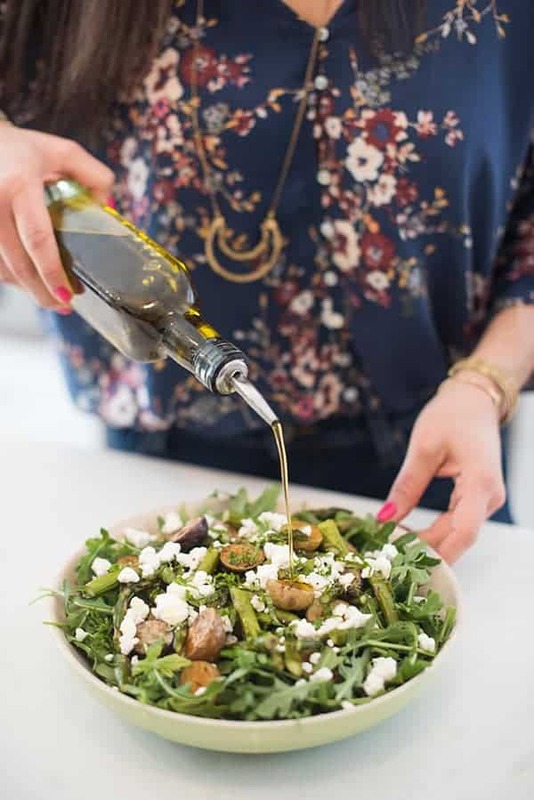 Stir once with a rubber spatula then scatter the goat cheese on top as well as the reserved decorative asparagus spears. Place pan in the oven and bake until eggs are set, 12-18 minutes. Remove from the oven and slice in eighths. Serve warm, room temperature or chilled. I want to make this for a bunch this Sunday. Everyone will be coming to our house after church, so I would like as much prepped ahead of time Will the asparagus be a bad texture if I make it ahead or what if I make the whole thing ahead and just reheat? Thoughts? Thanks! This is great for making ahead!! Just reheat in the oven or in a skillet with olive oil. Enjoy! 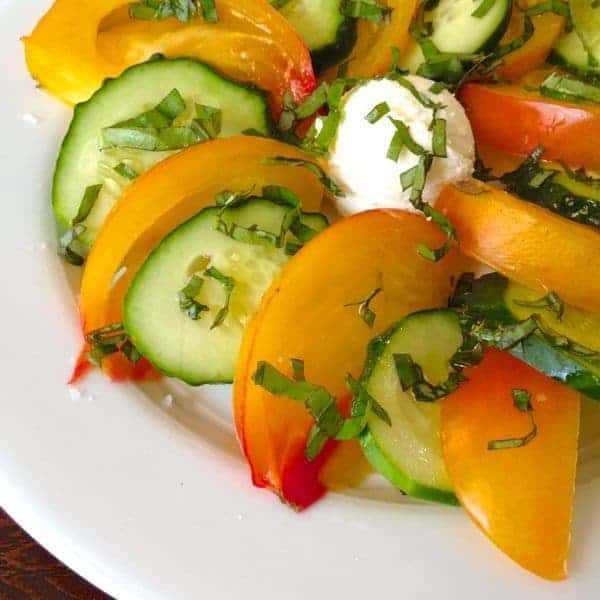 This and various versions of this recipe is ALWAYS my go to meal for weekend guests. Have never had a bad review. What I love about frittatas is that you can use whatever is fresh at the time. Oh I’m so so glad Barb! I had my in-laws here this weekend. I made it for breakfast. Its was super easy and a hit! They loved it. Thank you life saver. (BTW I’m not much of a cook). Oh I’m so glad you loved it!! Fritattas are one of my favorite everything but the kitchen sink dinners! Or breakfasts. Or brunches. Basically, I could eat fritatta all day every day and be pretty happy. Love the goat cheese asparagus combo! Why did I wait so long to make them?! This looks PERFECT for a Spring brunch (hint hint, Tyler: Mother’s Day!) and is so beautiful! hahah I hope you had a great Mother’s Day!! YES, YES, YES, need this fritatta in mt life, love asparagus! I love frittatas for how easy and versatile they are! Yours looks perfect! I need to start making them more often! I’m hooked! Perfect for the occasion. 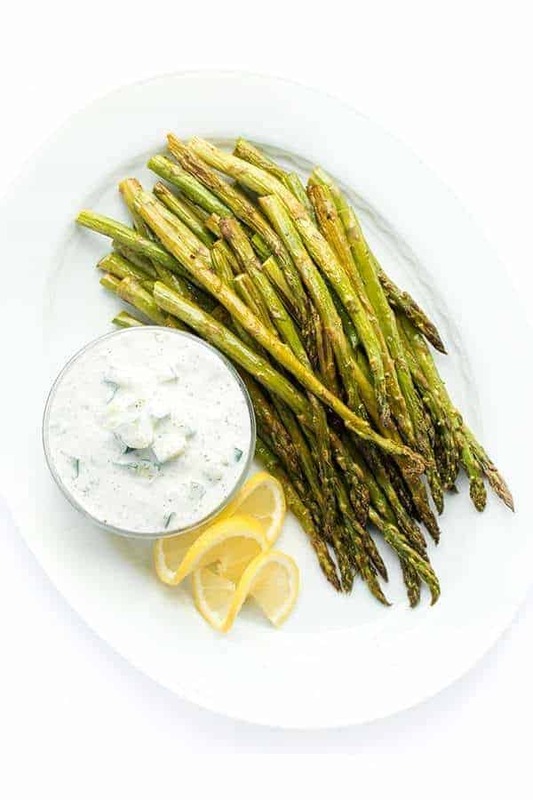 I love goat cheese and asparagus so this is totally up my alley! Love this Spring frittata! Just had one last week made with broccoli and it was so good. Can’t wait to try this! I love frittatas! 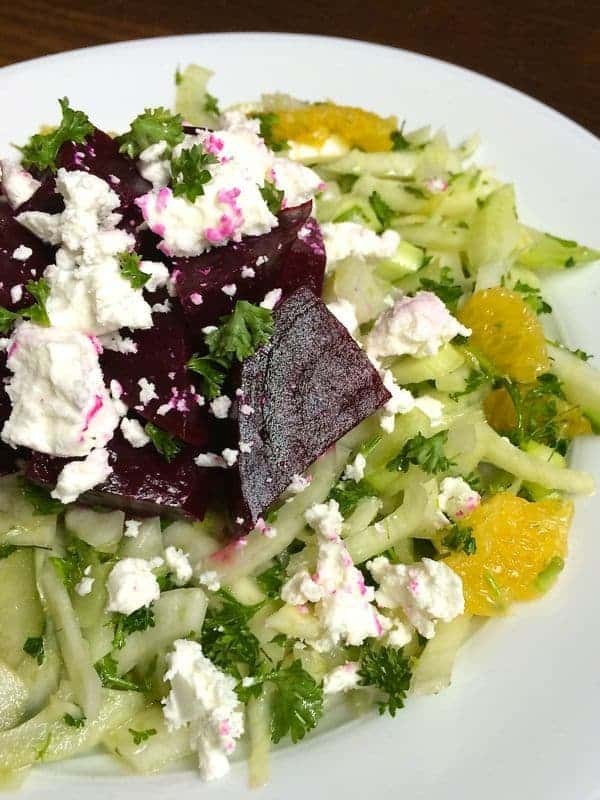 I need to try the addition of goat cheese! Sounds fabulous! I just adore goat cheese!! I hope you try it Anna! How fun! I think I am going to add this into our “breakfast for dinner” rotation! Thanks for sharing! Yes this is perfect for that!! Frittatas are one of our go-to meals when there just isn’t time to make anything else. My kids love them! It looks as though you nailed the art of making the perfect frittata on the first try. I love goat cheese and asparagus together – I will have to make this for a weekend brunch soon! They are such a classic combo!! I hope you enjoyed your shower!! Wish we were all in person!!! Love frittatas, so perfect for a shower! 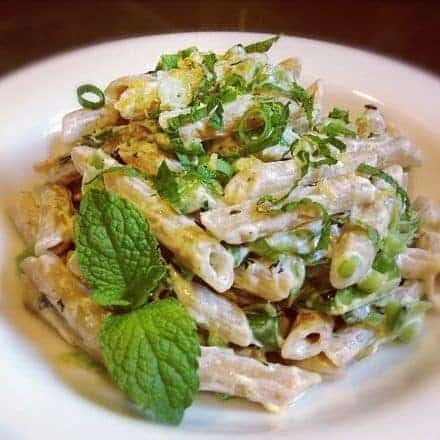 This is such a great recipe, Liz! I adore goat cheese and asparagus. You and me both! Thank you jennie! I love fritattas! You can put anything in them and they’re always delicious! Seriously!! Why did I wait so long?! hahaha I know it was in my head all day!! I love a good frittata, and goat cheese on anything, yes please! I love Georgia’s blog, this is so sweet that you’re doing this! Goat Cheeese for the win!! Hello delicious brunch! This looks fabulous! Seriously!!! I’m so glad I’m finally part of the Frittata Club!! I have never made a frittata either but this is making me want to try one STAT! How sweet of y’all to put this together for Georgia! You will be blown away at how easy it is! !